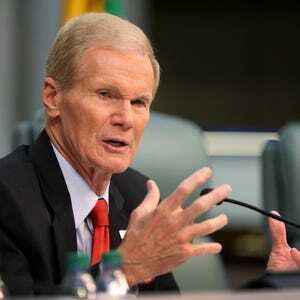 Democratic Sen. Bill Nelson of Florida will undergo prostate cancer surgery at a local hospital Monday, his office said Thursday. Doctors found the cancer during a routine exam, according to a release from his office. It said Nelson had no symptoms and “extensive” scans showed no evidence the cancer has spread outside the prostate. Nelson, 72, of Orlando, said the diagnosis does not affect his plan to run for re-election to a fourth term in 2018. “I’ve been blessed with good health, which has allowed me the great privilege of public service —and I look forward to continuing serving our country and Florida,” he said. Nelson is the only Democrat holding statewide elective office in Florida. He’s also the top Democrat on the Senate Commerce, Science and Transportation Committee, where he has championed highway funding, the environment the space program and other issues important to the state.